Size of this preview: 600 × 600 pixels. Other resolutions: 240 × 240 pixels | 480 × 480 pixels | 750 × 750 pixels. 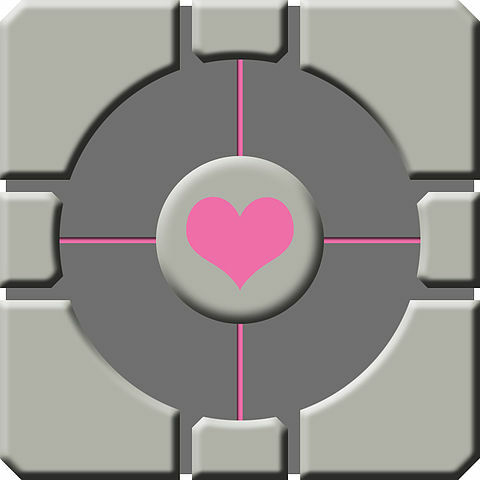 The Companion Cube from the video game Portal. This image was originally posted to Flickr by Kankie at https://www.flickr.com/photos/86354306@N00/2032391746. It was reviewed on 11 April 2010 by FlickreviewR and was confirmed to be licensed under the terms of the cc-by-2.0.